I have read many books on the War of 1812 and now when I select a book, I try to find one concentrating on a certain aspect of the War. 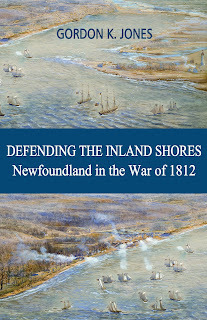 There really has not been a book which has focused strictly on the naval aspect of the War of 1812. Where much of the land war did not go well for the States, they had surprising success in their naval campaigns, so it is only natural that the subject be picked up by an American author. 1812, The Navy's War is written quite openly from the American point of view by author, George C. Daughan. At the outbreak of the War of 1812, America's prospects looked dismal. It was clear that the primary battlefield would be the open oceanbut America's war fleet, only twenty ships strong, faced a practiced British navy of more than a thousand men-of-war. Still, through a combination of nautical deftness and sheer bravado, the American navy managed to take the fight to the British and turn the tide of the war: on the Great Lakes, in the Atlantic, and even in the eastern Pacific. I learned much from this book that I had not understood before. Many of the early U.S. victories on the ocean was due to arrogant British Commanders, who had no respect for the upstart American navy, attacking ships of greater strength. What they didn't realize was that although the navy was new, it was well trained and the ships well manned. After taking a few losses, the British high command forbade its commanders from taking on the American ships in one on one battles. Although well written, I found the author spent too much time describing the battles which took place on land. Just a brief overview of land operations was required so the reader would know how this affected what decisions were made by both sides in their naval operations on the Great Lakes and the ocean. The author is also a little vocal in his opinion of some occurrences of the war. When American troops raided Port Dover, burning mills and homes, they were censured by their government. The author felt this was unwarranted, reminding the reader that British troops and Canadian militia burned the American side of the Niagara River, including Buffalo to the ground. Mr Daughan forgets that this was done in retaliation for U.S. troops throwing the residents of Newark (Niagara on the Lake) in the middle of a snowstorm and burning the town to the ground. Mr. Daughan also has an issue with British troops burning Washington to get even with American troops burning York, the capital of Upper Canada. "The damage in no way compared to what happened in Washington later in the war, when the British commanders ordered all public buildings in a much larger capital burned." I guess he feels the British should have only burned the same number of buildings that were burned at York? Still, this was an enjoyable and interesting book which I learned much from. A must read for any enthusiast of the War of 1812 or the history of naval conflict.